The Liberal government reform which most interested foreign observers at the start of the 20th century was the Industrial Conciliation and Arbitration Act 1894. Under the act any labour dispute had first to be brought before a local conciliation board. If the board failed to negotiate agreement, the dispute went to a National Arbitration Court. Both sides were then obliged to accept the court's decision. 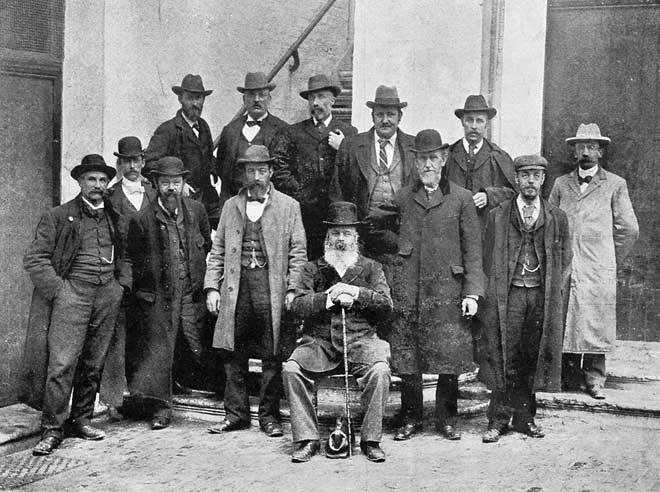 This image shows the Wellington Conciliation Board and representatives of the meat trade in 1900. The board was chaired by the Reverend John Crewes, who is seated in the front row.